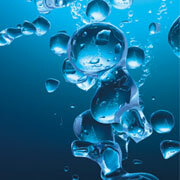 Did you know that you breathe approximately 11,000 litres of air per day? This sheer quantity is indicative of how vital oxygen really is for our health. Fulfilling a fundamental requirement for life, oxygen is involved in the production of adenosine triphosphate – the ‘energy currency’ that powers our body. We die very quickly without it. Indirectly, oxygen is also implicated in the acid/base balance of blood. After a cell uses oxygen to generate ATP, oxygen is ‘blown out’ in the form carbon dioxide and exits the body via the lungs during exhalation. When we do not breathe adequately, carbon dioxide can accumulate in the blood, inhibiting optimal oxygen intake and increasing blood acidity.